Every maker has a story. 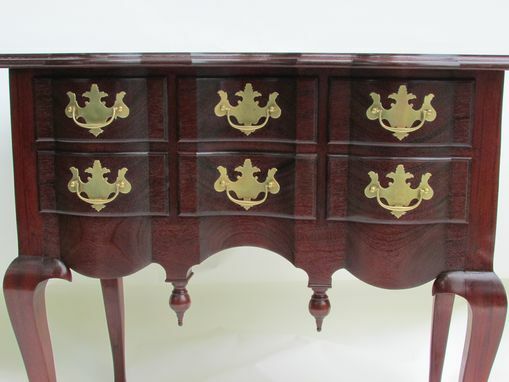 Be a part of Bonny View Furniture Workshop's story by placing an order, leaving a review, and seeing your review appear here. 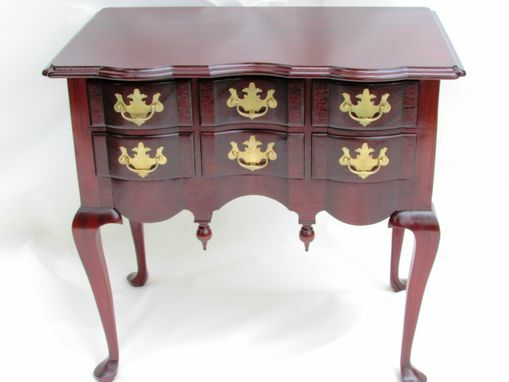 Genuine Mahogany Reproduction of a Boston Curved Blockfront Dressing Table (Lowboy) 1745-1765. 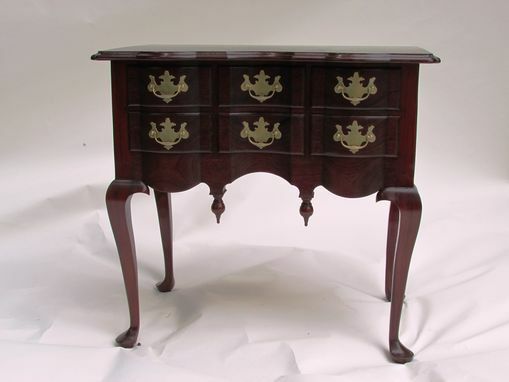 It is copied from a piece located at Winterthur Museum, documented in New England Furniture at Winterthur. The top dimensions are 21 deep by 33 3/4 wide. The case is 31 high by 18 deep by 30 wide. 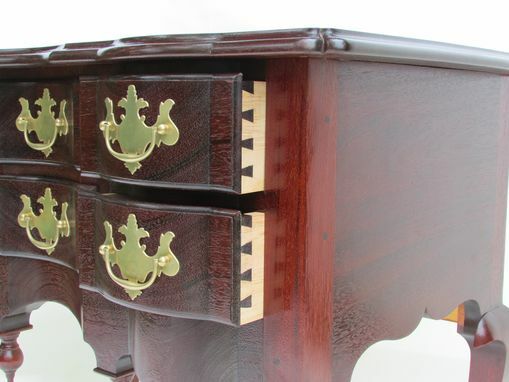 The fronts of the drawers are curved with solid brass hardware attached, drawers have hand cut dovetails. 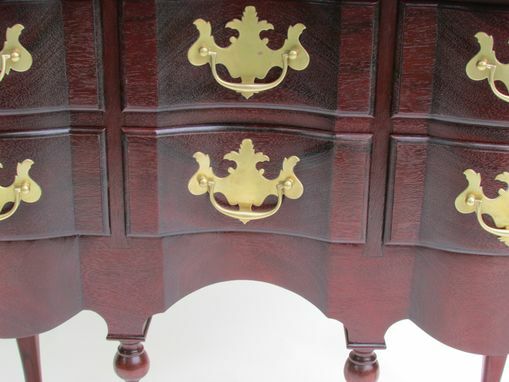 The dressing table is finished with shellac and colored hard wax. Drawer sides and bottoms are pine. 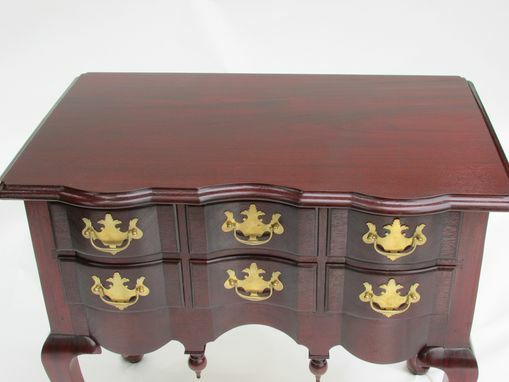 This is a custom made piece that will be an heirloom. I will deliver the piece with in 300 miles at .50 per mile. Buyer may arrange other methods of shipping.